I am sure most of our Indian readers would know what is Ghee. Actually Ghee is used in Indian Cuisine for Centuries. Ayurvedic Medicine seem to claim Ghee as a big promoter to help Immune system. French and english cooking use Clarified Butter too. 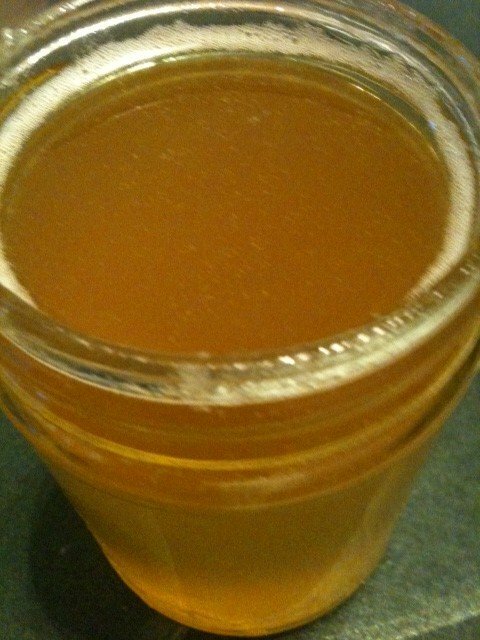 Ghee is made from butter-it is called Clarified Butter. It is very easy to make. 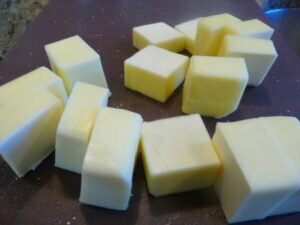 Put the butter sticks sliced 1/2 inch thick in a large heavy pan and heat at low heat- do not stir.The key is to let all the water evaporate and only the warm yellow oil type liquid is left. This will bubble as it starts to heat. Important to use Unsalted Butter and slice the stick as it can sometimes burst and splatter. There will be some sediments. 1 LB butter approximately takes 15 to 20 Minutes at low heat. When the liquid stops bubbling, the water is evaporated. Please watch to turn the stove off or take it off the heat quickly. Ghee how ever is considered to be high in saturated Fat. we have used Ghee instead of butter on Roti almost all the time. Now with health conscious population, ghee is not regarded as a very popular item in cooking. I still think if you use very little and use it for “Tadka” for Daals and Rice, it really gives good aroma to food.I use it on Kadhi and Daals as Tadka. The shelf life for Ghee is longer then the one of Oil- it does not become stale quickly. You can also store it in the Refrigerator. Ghee will be soft in warm season and will be firm in cold. It can be reheated in Microwave. Many Indian Homes have a special little pot-bowl with lid and a spoon generally made of Stainless Steel. A very practical way of keeping Ghee if you are using it often. This bowl can be purchased in an Indian store where they sell Kitchen items.